If you’re looking for a stylish, innovative and accessible new townhome in Silver Spring, Bradford’s Landing should be your first stop. 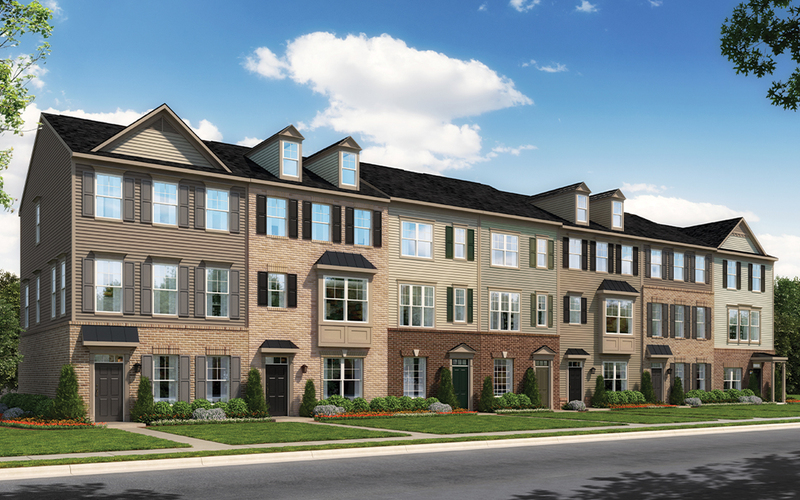 Conveniently located off of Norbeck Road between Georgia Avenue and the ICC, Bradford’s Landing features Brookfield Residential townhome designs for whatever lifestyle suits you best. Rear-load garages at Bradford's Landing. 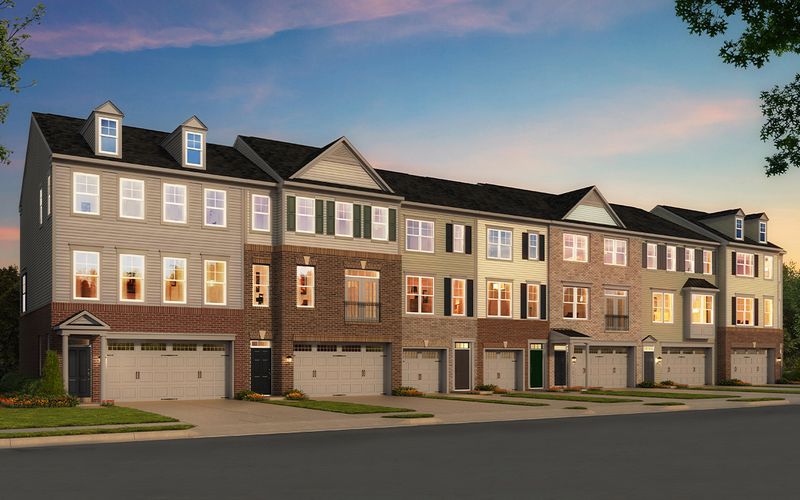 The Arbor Collection offers 20-foot-wide homes with rear-load garages starting from the $400s. 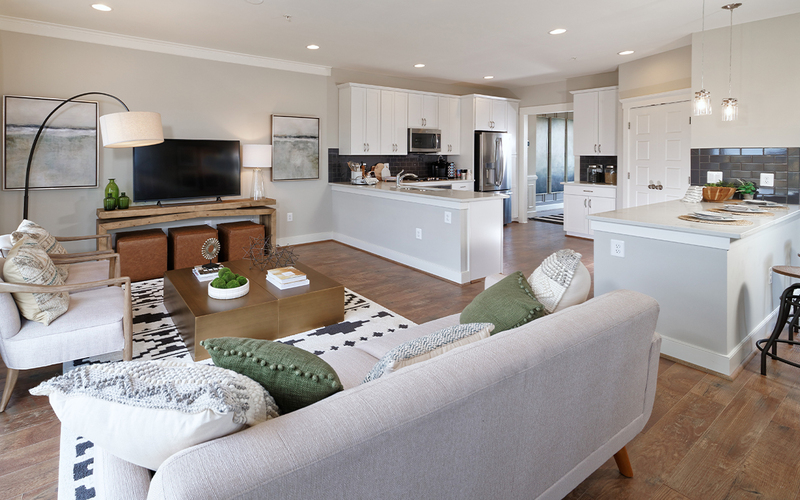 At nearly 2,000 square feet, these residences live like traditional townhomes with up to four bedrooms, four bathrooms and plenty of flexible spaces. Those seeking more space inside and out can choose from the Aurora and Orion floorplans of the Galaxy Collection, starting from the $500’s. These 24-foot-wide townhomes truly live like single-family homes. The spacious, open floorplan on the main level includes a conveniently located kitchen flanked by a large great room on one side and living and dining areas on the other. A kitchen at Bradford's Landing. Galaxy Collection floorplans can be personalized with up to four bedrooms, four bathrooms and 2,685 square feet. They also include a large backyard, perfect for grilling out with friends or enjoying family time together. Bradford’s Landing offers a variety of fun amenities, including a tot lot, natural playground, dog park, walking trails, outdoor fitness stations and more. With its close proximity to the ICC and Glenmont Metro Station, it’s a dream for commuters. A living space at Bradford's Landing. Bradford's Landing home shoppers will be among the first to enjoy the innovative new Empower features offered by Brookfield Residential. 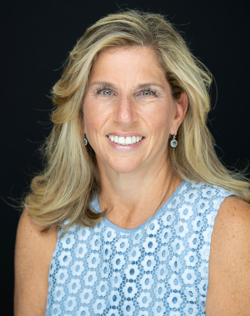 Among them are My Time Home Tours, in which shoppers can register online and receive a digital code that allows them to unlock the front door and tour select new homes on their own time. 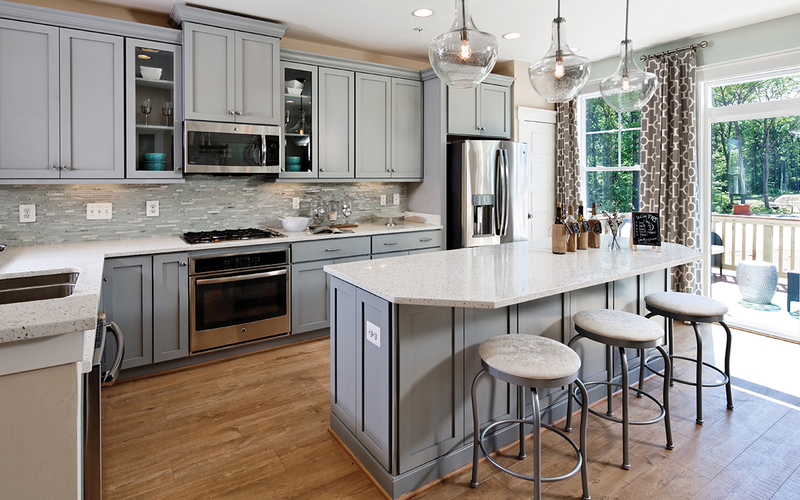 My Style Quick-Move Homes offer the opportunity to personalize finishes –– including flooring, tile, cabinets, fixtures and more –– and still move into the home in less than two months.